January may be almost over, but this doesn’t mean that we can’t take the best of it with us for the whole year. Yes, you guessed it. 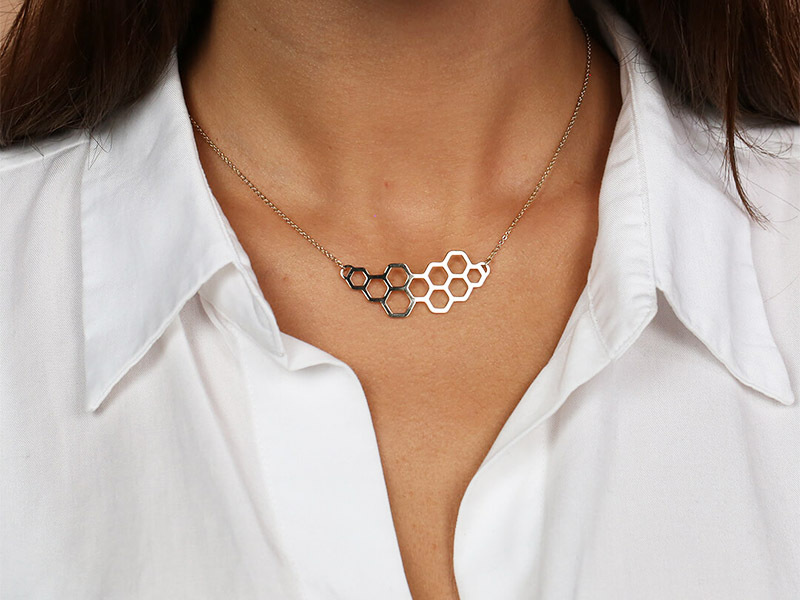 It’s time for your January jewelry top. The new year has started with lots of interesting designs and, as you know, it’s very hard to choose when it comes to buying precious & semi precious stones jewelry. It was hard to make this list since there are so many exciting and chic jewelry designs, but we did our best to choose the perfect January jewelry suggestions for you. Read further to discover more. As usual, we are going to start with the earrings because we know they are your favorite jewelry pieces. So what is new in the earrings department in January? Well, let’s see. Hoops, more hoops and, oh, we almost forgot. Hoops. Just kidding, of course. 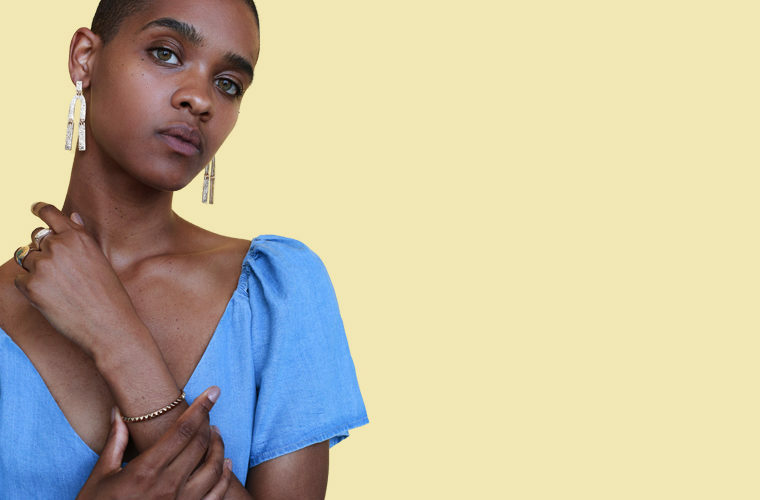 Hoop earrings are in fact still in trend, but the designs are much more diversified from what you knew. And we also have a surprise when it comes to January jewelry and earrings, but you have to read on to find out. Named after the Roman goddess of beauty, these luscious hoops feel and look amazing. With a comfortable backing mechanism and a medium size, you can wear them every single day. 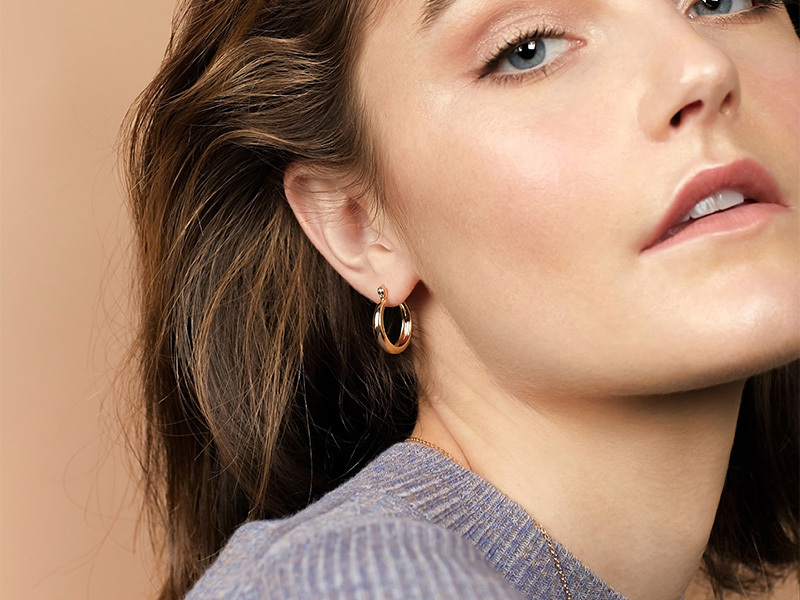 Feminine and chic, these gold hoop earrings look great with a relaxed bun, a warm turtleneck sweater and a pair of leather trousers that will add an edgy vibe to your look. Don’t wait too long to get them because we may run out of stock. 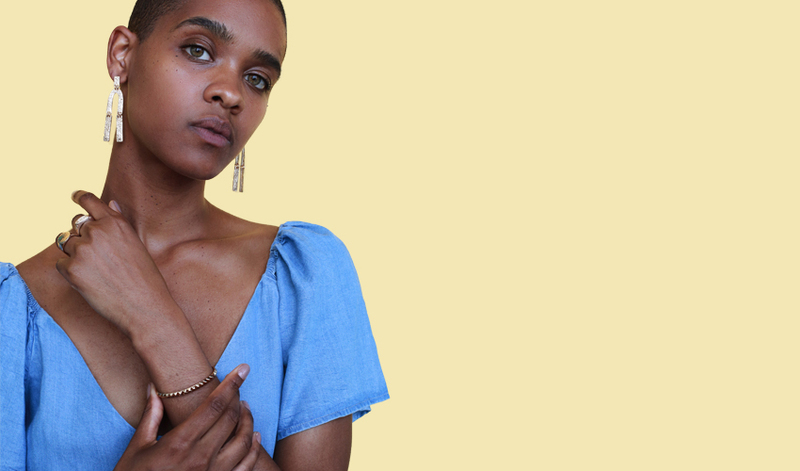 We told you we were going to talk a lot about hoops when the topic is January jewelry. But instead of the classic thin & oversized gold hoops, you get these fabulous statement earrings. Large and thicker than classic hoops with a sleek silver color, these earrings spell fabulous. Think about your outfit the next time you go to a party. Your new wrap leather dress and pointed boots will go great with these silver hoop earrings. Add a velvet choker and you have the perfect recipe for a stunning and memorable look. This is the surprise we told you about. With a brilliant gold texture, an edgy design and a chic look, these drop earrings are perfect for a cocktail party. Wear your hair up to let them be visible and add a couple of think bangles on your hand to play with shapes and create a classy balance. And since these fab earrings have made our January jewelry top, you should hurry up if you want them in your jewelry box. They sell like hotcakes but have fewer calories. You probably know already that layered necklaces are this year’s biggest jewelry trend but guess what? So are nature-inspired necklaces. And since we talked a lot of layered necklaces in our previous articles, for our January jewelry list, we have selected two stunning necklaces with nature-inspired motifs. Do we really need to talk about this necklace? We know you’ve already fallen in love with it. Its charming intricate design, sleek gold texture and creative look will make it your next favorite jewelry piece. Sweet, isn’t it? Wear it with a jewelry neckline T-shirt in a solid color, a pair of skinny jeans and gold stiletto shoes to create a smart-casual irresistible look. We may not have chosen layered necklaces for our January jewelry list, but we simply couldn’t ignore the other big trend of 2019: coin necklaces. This lovely polished gold coin necklace features an engraved star design and a center cubic zirconia gemstone that adds a fabulous sparkle to your look. It will look simply stunning with your burgundy silk blouse and pencil skirt. Get it now before we run out of stock. As the new year starts, it’s time for something old and classy. We are talking about signet rings, of course. Read on to discover our January jewelry signet ring choice. Antique-looking jewelry has a special place in our hearts with its intricate and artistic design and bohemian vibe. This stunning all-metal antique signet ring has made our January jewelry list due to its artistic craftsmanship and versatility. Combine it with contemporary pieces to get an edgy look or keep the theme and fasten your shirt with a cameo brooch to get a lovely, classy retro look. With so much gold designs in our January jewelry list, you may be wondering whether we don’t like silver. We do, of course, and out next top pick is going to prove it. Discover which Ana Luisa fabulous bracelet has made our top. Oversized links are hot this season and this sleek silver bracelet with a smart & creative locking mechanism is everything you need to add the wow factor to any outfit. Get that cool metallic vibe you’ve been dreaming about with this chic bracelet. Match it with a pair of silver ball stud earrings and a jewel clutch to obtain a fabulous look. If you enjoyed discovering our January jewelry top picks, check out our other articles as well. There’s plenty of useful information on our blog, so start reading. To view any of the designs featured in this article, visit Ana Luisa online jewelry shop and check out our unique NYC jewelry collections.